GLOBAL AWARENESS 101 - Let your VOICE be heard and get involved. OUR future depends on it! : World's 8 Richest People Mostly Progressive, Own More $$ than Half the World Population. 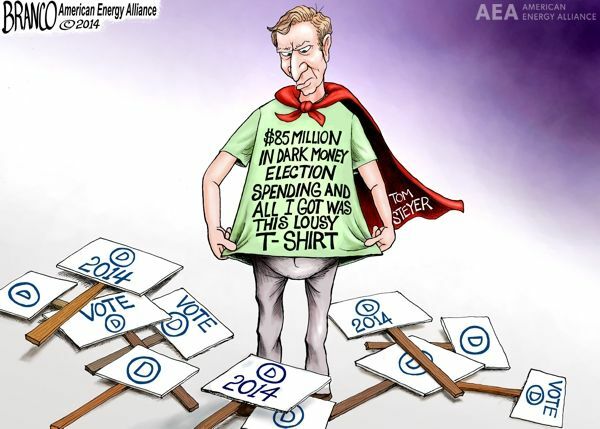 Missing From List Billionaire Progressive Tom Steyer, The Epic Hypocrisy Of "Green" Anti-Coal Warrior. World's 8 Richest People Mostly Progressive, Own More $$ than Half the World Population. 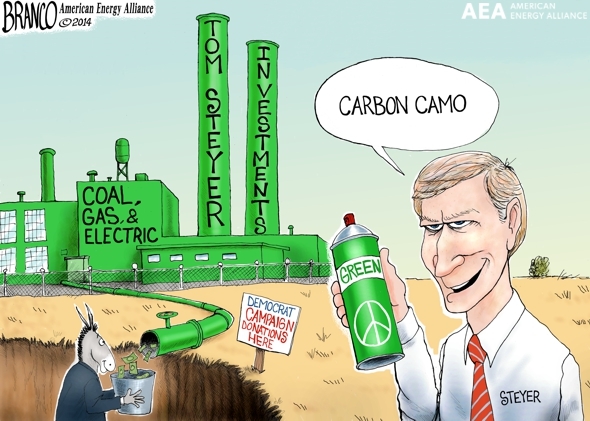 Missing From List Billionaire Progressive Tom Steyer, The Epic Hypocrisy Of "Green" Anti-Coal Warrior. Yet the same people who own more than the bottom half of the world’s population are also the same people who tout progressive, globalist philosophies championed by the very people who claim that there is income inequality. Billionaire hedge fund operator and “green” energy magnate Tom Steyer has pledged $100 million in the 2014 election cycle to help Democratic candidates who oppose the Keystone pipeline and who favor “green” energy over fossil fuels. Steyer claims to be a man of principle who has no financial interest in the causes he supports, but acts only for the public good. That is a ridiculous claim: Steyer is the ultimate rent-seeker who depends on government connections to produce subsidies and mandates that make his “green” energy investments profitable. He also is, or was until recently, a major investor in Kinder Morgan, which is building a competitor to the Keystone pipeline. Go here, here, here, here, here and here for more information about how Steyer uses his political donations and consequent connections to enhance his already vast fortune. But Steyer’s hypocrisy goes still deeper. Today, he is a bitter opponent of fossil fuels, especially coal. That fits with his current economic interests: banning coal-fired power plants will boost the value of his solar projects. But it was not always thus. In fact, Steyer owes his fortune in large part to the fact that he has been one of the world’s largest financers of coal projects. Tom Steyer was for coal before he was against it. Tom Steyer founded Farallon Capital Management L.L.C. (“Farallon”) in 1986. Farallon has grown to become one of the largest and most successful hedge funds in the United States with over $20bn in funds under management.1 Mr. Steyer’s net worth is reported to be $1.6bn.2. Mr. Steyer left Farallon in 2012 to focus on political and environmental causes and potentially to position himself for public office. He has been described in the press as the “liberals’ answer to the Koch Brothers”3 due to his wealth and his opposition to the Keystone XL pipeline and carbon-based energy in general. He has dedicated some $50 million of his personal fortune to back political candidates who support his position on climate change – and punish those who don’t. Mr. Steyer has led recent campaigns with Bill McKibben to encourage university endowments to divest coal equities. By their nature, hedge funds are shadowy organizations and Farallon is no exception. Farallon staff do not talk to the press. Their website provides virtually no information and, because it is a private fund, Farallon is not required to report details of its investments. Essentially all the public knows about Farallon’s investment activities is what the fund is forced to file; for example when their ownership stake in a publicly listed company rises above a disclosable threshold, or when they are compelled to disclose information pursuant to a lawsuit. While a few bits of information on Farallon’s investments in carbon energy have seeped into the North American press via these disclosures, this information doesn’t begin to scratch the surface. The North American press’s lack of awareness of Mr Steyer’s activities in the coal sector is due to the fact that all of Farallon’s investments in coal have been made outside of North America, and wherever possible through opaque structures which mask their direct involvement. In order to gain an appreciation of the extent of Farallon’s epic involvement in the coal sector under Mr. Steyer’s tenure one needs to spend time in Jakarta and Sydney, and in the regional financing centers in Hong Kong and Singapore, and speak to professionals (bankers, lawyers, mining consultants and principals) who were directly involved in these Farallon-sponsored coal transactions. With a modicum of effort one discovers that since 2003 Farallon has played the pivotal role in financing the tremendous restructuring and growth in thermal coal production in the region. All of this took place under Mr. Steyer’s tenure as founder and senior partner of Farallon. Perhaps he is being disingenuous and wishes people to believe that some low level employee at Farallon bought a few shares in coal companies without his permission. It is possible that he is trying to inoculate himself against the inevitable perceptions of hypocrisy that he knew would arise when the scale of his involvement in the coal sector came to light, as eventually it must. • Under Mr. Steyer’s tenure as senior partner, Farallon has been responsible for providing acquisition and expansion funding to about a half dozen of the largest coal mine and coal power plant buyouts in Australia and Asia since 2003. In each case the funding provided by Farallon was pivotal to the success of the transaction. • Without the leading role played by Farallon many of these transactions, and the subsequent leaps in production (often necessary to repay Farallon’s high interest rate debt facilities), would not have occurred. • The half dozen Indonesian and Australian coal producers in Farallon’s investment stable produced about 80 mtpa of coal collectively prior to Farallon’s involvement. By 2012 these companies produced 150 mtpa (see table below). In other words, the capital provided by Mr. Steyer’s Farallon group was pivotal in enabling incremental coal production of about 70 million tonnes of thermal coal production per year. • The quantum of Farallon’s profits on these investments over the past 10 years is not publicly available. Based on the estimated investment quantums6, typical hedge fund returns of 20% and an assumed average holding period of two years per investment, total profit to Farallon from coal investments of $400 million is a reasonable estimate. As the founding and senior partner of Farallon, Mr. Steyer would have received a sizeable share of this profit personally. This data is based on public information and in a few instances information available from professional sources. All of these investments took place during the period of Mr. Steyer’s tenure as senior partner of Farallon. CLICK HERE to read the entire article... very revealing!